You can&apos;t slap a popular Jordan colorway on just anything, but so far it&apos;s been working for the Air Max 180. 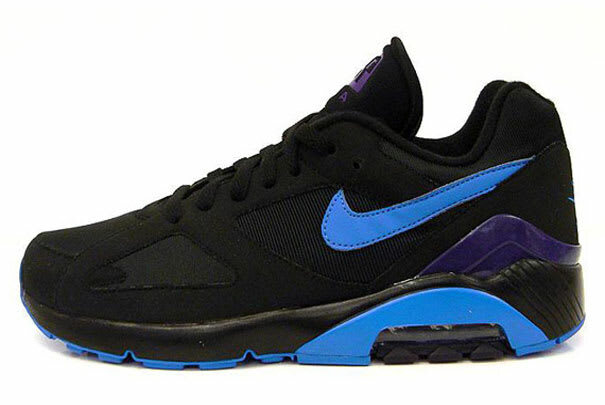 Whether you want to call these the "Grapes" or the "Aquas," there&apos;s no doubt that these Nike Air Max 180s are dope. With their jet-black upper and eye-catching colorway, we fully expect these to make a killing just like the Air Max 180 Infrared that hit the web last week. Get them now from U.K.&apos;s End Clothing.